LANCASTER – A 50-year-old Lancaster man died Sunday morning after his vehicle collided with another vehicle whose driver fled the scene on foot, authorities said. Duane Doyle Molnar, 50, was pronounced dead at the scene of the collision, which occurred around 3:30 a.m. Sunday, Sept. 2, in the intersection of Avenue J and 90th Street West, according to a California Highway Patrol report. Molnar was driving a 2008 BMW 328-I westbound on Avenue J approaching 90th Street West, while a 2005 Subaru-WRX was traveling northbound on 90th Street West approaching the 2-way north/south stop sign intersection of Avenue J. “The driver of the Subaru entered the intersection and collided with the left side of the BMW. It is unknown if the driver of the Subaru stopped at the posted stop sign before entering the intersection. After the collision, the driver of the Subaru was last seen fleeing on foot southbound on 90th Street West,” the CHP report states. “The cause of this collision is still under investigation. It is unknown if alcohol or drugs was a factor of the collision,” the CHP report states. Anyone with information on this crash is encouraged to contact the California Highway Patrol Antelope Valley Area office at 661-948-8541. Editor’s note: A previous version of this story contained incorrect information. The story has been updated to reflect the latest information from the California Highway Patrol. 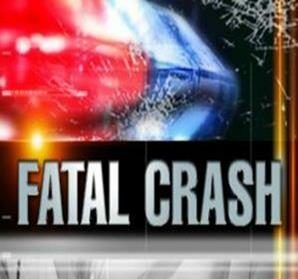 9 comments for "Lancaster man killed in two-vehicle crash, other driver flees the scene"
This is a really bad intersection. I drive through it often and always slow before passing 90th to look for some idiot that is about to run the stop. It is not easy to see others due to the blockages. I am so sorry for the families loss. As bad as it is here, it should be a 4-way. You sure you aren’t thinking of 90th EAST and Ave J? 90th West and J is only a stop on 90th…or at least that’s how it was when the Google car went by. Ave. J west is straight through, and 90th street has the stop signs. No Shuk, it is not a 4 way stop sign at that intersection. My husband Duane was traveling westbound down J when the blue Subaru Impreza ran the stop sign at 90th and struck him on the driver side and killing him. Duane had the straight away. Check your facts before you post. Oh, and go take a look out there. 90th is lined with Italian cypresses. You CANNOT see people aproaching the stop sign at all!!! He didn’t even see what hit him. It’s a definite problem. Again, fact check!!! Have they caught anyone? Ran a plate? Investigators check hospitals? Do you know if anyone is being looked at? When they find this Loser, let us all know!